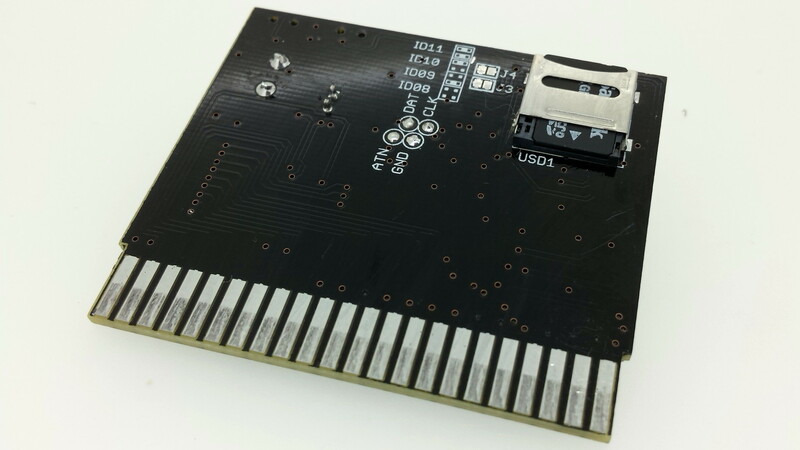 Integrated SD2IEC (larsp compatible HW design). Micro SD card for storing diskimages. 2 LED mimics a Commodore drive. Ever wanted to give your old Commodore a new disk drive? 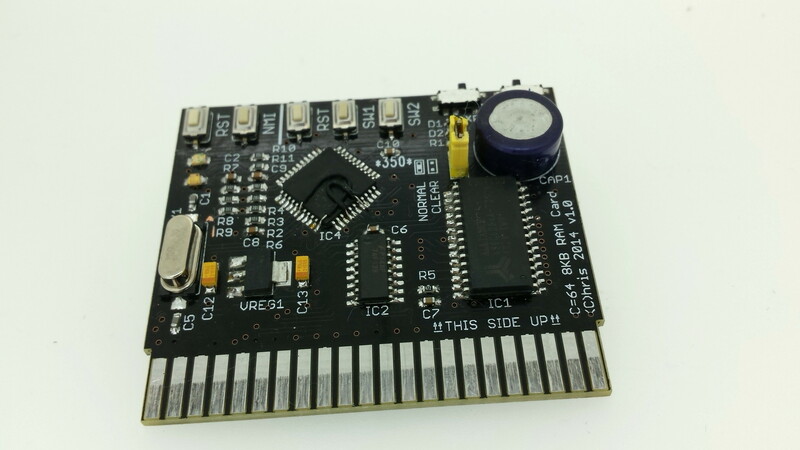 Ever wanted to develop your own cartridge? This one brings it all together, it has a SRAM that is easily programmed by the C64 itself and with the flick of a switch it becomes a regular cart! As a bonus it has room for a IEC compatible disk drive; this emulates a 1541 drive and uses a uSD card for storing your disk images. It provides even support for some fastloaders. See the SD2IEC website for the latest firmware . 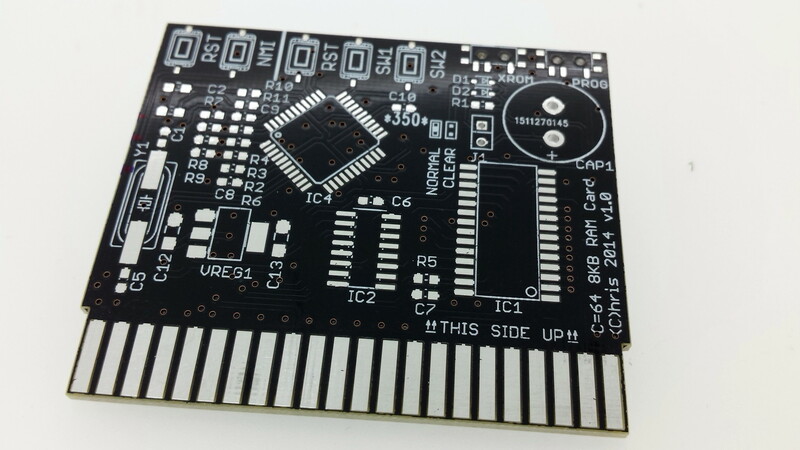 Status: Probably not for sale (contact me for excess PCB’s).